Firstly, i owe you all an apology for being out of touch for a long time now..just got caught up with some chores and drowned in work. That’s when i realized that i was loosing it…i needed to reconnect with myself again. Take charge of my life and bounce back. Have been having some crazy time at work, in personal life and everything under the planet! In my NEED to reconnect with myself, i started doing Yoga! 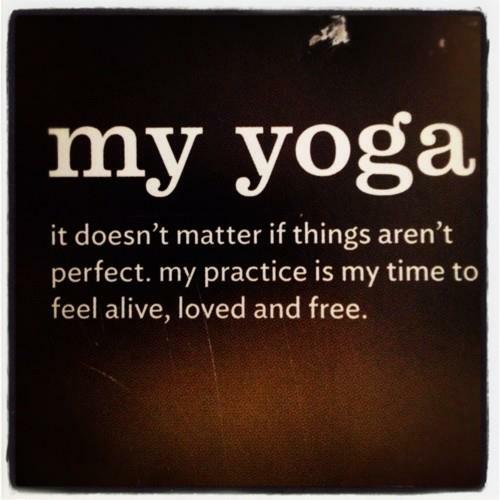 Yes, Yoga… and trust me I am loving it. Been a month now that, i have been practicing yoga 6 days a week for 1-1.5 hrs and its blissful. It just gives me that ‘ME time’ that i was craving for! I am not able to accommodate Yoga practice in the mornings, so i do it once i am back home from work and it works well for me. it helps put a full stop to the thoughts/worries of the day before i go to bed. It helps me disconnect with the external forces and reconnect with myself. It gives me that sense of satisfaction of being myself. Not to mention, the stretches and asanas make me feel rejuvenated! It required discipline in the 1st week but after that,it became something that i would look forward to in my day. It calls you! So my friends, love yourself and take out time for yourself. Don’t let the daily hassles of life pull you down…take a step back and slow down….listen to your inner voice…the moment you stop and concentrate on your breath..you will feel at peace. I am not a champ at yoga…i look at youtube and follow blogs online to understand the asanas, meditation etc. I follow yogis on instagram & pinterest for inspiration. If you have some suggestions that i could use, kindly share them.